As the longest-established firm in the SCF industry, Orbian has been named the “Best Supply Chain Finance Provider” eight times by Global Finance Magazine. We have also received program-specific award recognition with Osram, Siemens and General Mills, Inc.
We put our efforts not only into the best solution, but the best team. Orbian is consistently recognized for service excellence and our web-based platform maintains a 100% error-free transactional record. As the winner of awards like the “Best Supplier Support and Enrollment” and “Most Innovative Supply Chain Finance Implementation,” it’s no surprise that Orbian’s implementation and enrollment teams are some of the most experienced in the industry. We are able to deliver the fastest, most efficient SCF implementations and integrations for all of our clients no matter the complexity of their global network. 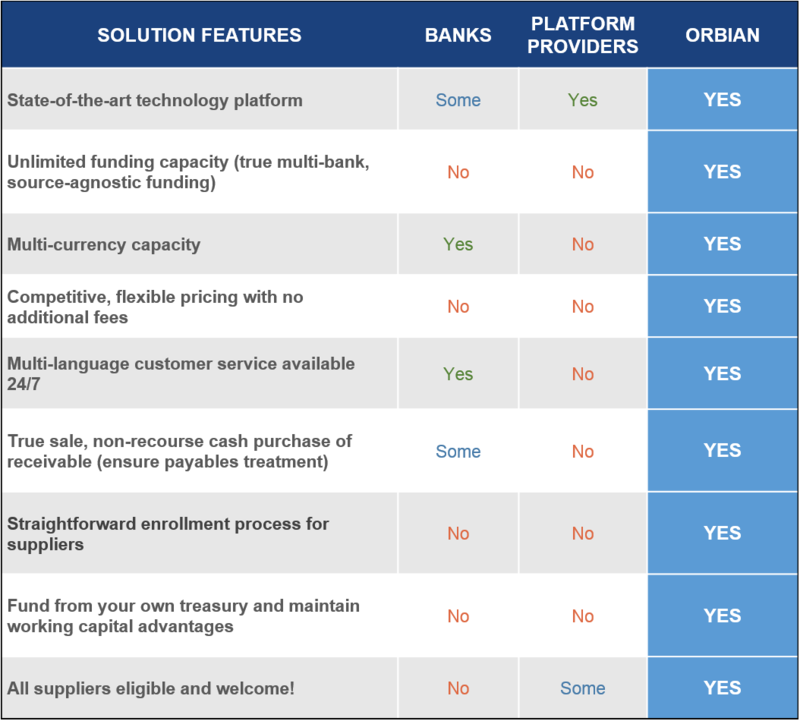 How is Orbian Different From Banks and Other SCF Providers? 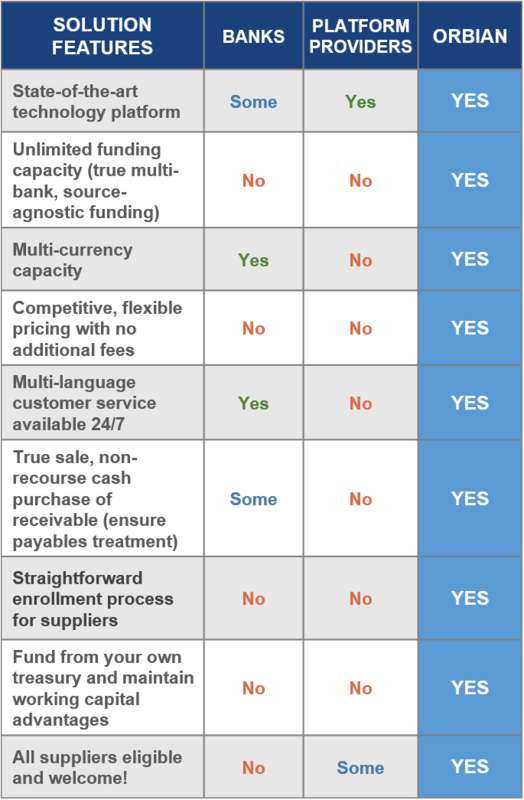 Orbian is 100% dedicated to Supply Chain Finance and is the only company in the world that is able to provide a complete SCF solution with the combination of a true multi-bank funding model and its state-of-the-art, award-winning technology platform.